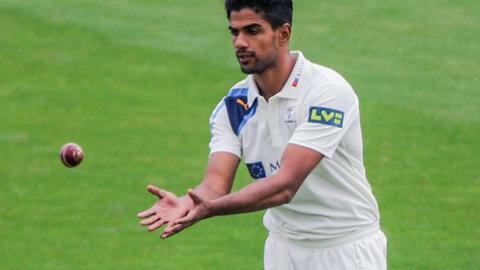 Yorkshire seamer Moin Ashraf is to leave the county at the end of the season. The 23-year-old helped the White Rose reach the T20 Finals Day in 2012 but has not made a first-class appearance for the county in the last two seasons. Wicketkeeper Dan Hodgson, 25 and all-rounder Jonny Tattersall, 20, have also been released. "To have played for this wonderful club since I was 15 has been both an honour and a privilege," Ashraf said. Ashraf, who had a trial with Hampshire earlier this season, added: "I wish everyone at Yorkshire all the success in the world and I will continue to be an avid supporter and fan of this wonderful club. I am now looking forward to the next phase of my life. " Hodgson played for Yorkshire against Sachin Tendulkar's Mumbai Indians in the 2012 Champions League, while Tattersall made only one List A appearance for the county in 2013.